Sudden stop accidents often occur when a driver stops their vehicle suddenly and another driver swerves to avoid a rear-end collision and collides with a nearby vehicle. Many times drivers stop suddenly on the road. Such sudden stops do not always cause accidents, however, if this is done during rush hour or when another driver is driving at a high speed he may collide with the car in front of him. Sudden stop accidents often occur when a driver stops their vehicle suddenly and another driver swerves to avoid a rear-end collision and collides with a nearby vehicle. The people driving near the vehicle which stops suddenly often suffer damage as a result. It is the duty of every driver to follow the traffic rules and drive in a responsible manner. While driving he should take into account roadway hazards, weather conditions, and the surrounding traffic. They are expected to refrain from speeding and distracted driving like texting, answering phone calls, or driving while intoxicated. They should also yield the right of way. If a driver does not observe these things and an accident takes place they may be held liable. The victim can make a negligence claim and get compensation from the careless driver. 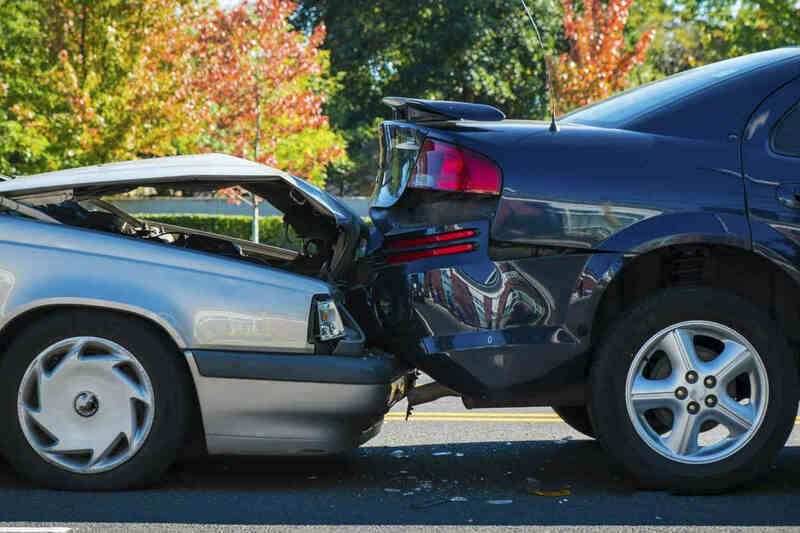 The plaintiff has to prove that the defendant was driving negligently and that the accident occurred as a result. The driver has to show that the careless conduct of the other driver is directly responsible for his injuries. If the defendant is able to prove that the plaintiff got injured due to some other reason like a mechanical problem with the brakes then the claimant will not be able to recover compensation from the driver. There are many common reasons due to which the driver could have stopped his vehicle suddenly and caused the accident. A driver may have stopped suddenly when he was not paying attention to the road and was engaged in texting, talking on the phone or to passengers, adjusting the radio, or eating in the vehicle. He could have been tailgating or speeding and did not have sufficient time to stop the vehicle in a safe and responsible manner. At the time of assessment of the compensation to be given, the plaintiff can show his medical bills as evidence for the medical expenses incurred due to the accident. The victim may be entitled to get a reimbursement for the medications, physical therapy expenses, medical bills and even for the medical care costs in the future. The claimant may have to stay away from his job due to the injuries. This often causes loss of income. Therefore, the victim can often get compensation for the lost wages and also the loss of earning capacity due to the injuries. The victim of a sudden stop accident may sustain serious injuries due to which their cognitive capacity and mobility may be reduced. The victim may also suffer permanent impairment. A life care planner or some other expert in the field can help in assessing the financial compensation they may need in future years. It is best to seek legal advice from a competent St. Louis auto accident attorney before signing a settlement. Call The Hoffmann Law Firm, L.L.C. 24/7 at (314) 361-4242 for a FREE case evaluation.